More than 25 million adults in the US experience some kind of pain daily. Some have to deal with just brief moments of it; others suffer from long-lasting (chronic) aches. 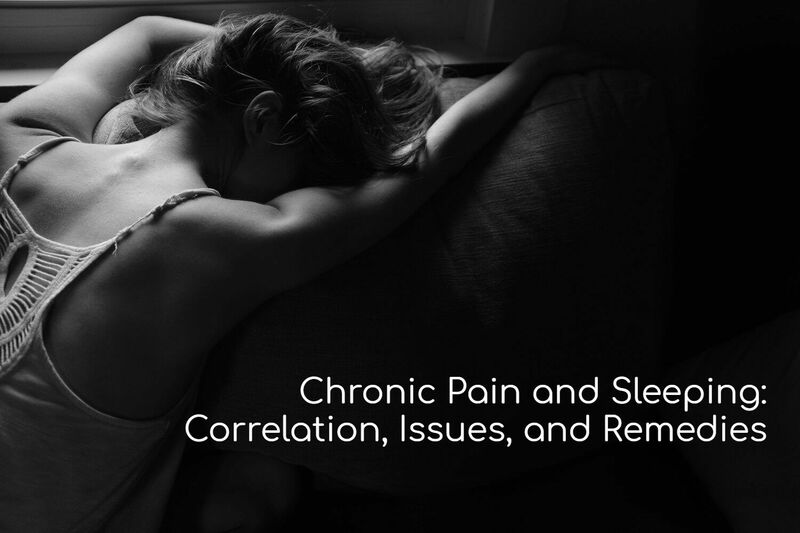 And even though the pain levels can vary from mild to extremely severe, any type can interfere with one’s sleep, especially if we are talking about chronic pain. There are certain methods and remedies that potentially can help you manage the pain and improve your sleep quality. Keep in mind that there’s no universal solution and each case is unique. But effective ways to manage pain and sleep better do exist. Whether you are suffering from neck, back, knee, or any other type of pain, chances are you will find an effective remedy for yourself below. Insomnia and disrupted sleep cycles are among the most widespread health issues in the modern-day US, alongside cancer and depression. There are countless potential causes of insomnia. They may include high stress levels, certain health issues, mental disorders, inappropriate sleeping environment, or even an unsuitable mattress. Among all those possible causes, the most common and prevalent one is sleep disturbances. Obviously, chronic pain is probably the strongest disturbance one can suffer from. To fall asleep, your central nervous system needs to calm down. And when there’s pain involved, the nervous system remains much more active and, naturally, does not allow the body to fall asleep. That’s the main reason why aches disrupt sleep and its natural cycles. Another factor is rather obvious: pain causes discomfort, which means our body cannot relax. Naturally, it is hard to fall asleep in such a state. We require both mental and physical relaxation to get proper rest. And when there’s pain involved (especially if it’s chronic), it’s almost impossible to relax one’s mind and body. Many people who suffer from chronic pain also deal with anxiety, stress, and overwhelming racing thoughts at night. Which all lead to disrupted sleep or even severe sleep deprivation. Pain is also likely to affect one’s sleep position. For instance, arthritis or shoulder pain can force you to change your regular sleeping position. Not only can it make you feel less comfortable but also increase the tension in the body because of the unusual, unaccustomed position. Now, while pain can influence your sleep, insomnia can also affect pain. It is proven that sleep deprivation makes people more sensitive to pain. This means not enough sleep can worsen your symptoms and make you hurt even more. 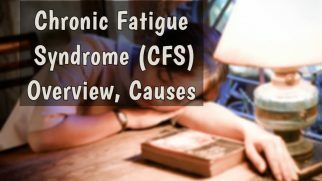 This happens because insomnia causes an increased production of the inflammatory chemicals called cytokines. Sleep and pain are correlated, which might make you stuck in a vicious cycle. You can’t improve the sleep quality because of the pain and you can’t get rid of the pain because of your sleep deprivation. Being in direct correlation, improving one of these aspects can help us improve the other one. So, if you manage to sleep better, theoretically you can also reduce the pain-related symptoms. Lower back pain is rather common among American adults. In fact, in 2016, almost 30% of female respondents admitted that they suffered from lower back pain. And 26.7% of male adults had to deal with the same problem. And even if we are not talking about regular, chronic pains, around 80% of people are bound to experience lower back pain at some point in their lives. Because lower back is quite a complex body part, it can suffer from different types of pain. This area includes back bones, muscles, soft tissues, and a complex system of nerves. And each of them can face almost any level of pain (potentially). Often, lower back pain can linger and radiate down the buttocks and even the legs. disrupted blood supply (common for vascular disease). Sleeping with lower back pain has its own peculiarities. Firstly, it is quite hard to achieve a proper spinal alignment, which is crucial when it comes to back issues. You might need some extra support for your back and even the specific areas of it. Plus, because lower back pain can appear at any time (for instance, in the middle of the night or only after you wake up), it’s quite challenging to come up with a suitable solution. Talk to a professional chiropractor. He or she may help you work with your spine issues and posture, which can be the reason behind your backache. Plus, a professional can give you some advice concerning sleeping with lower back pain. Pick a proper mattress. What you sleep on is extremely important, especially when it comes to back pain. You need a suitable mattress for your health condition. It is recommended to sleep on medium-firm beds to avoid extra curves in the spine. Find the best sleeping position for lower back pain. If you are a back sleeper, consider using a small pillow under your knees for extra support. If you mainly sleep on your side, try putting a pillow between the knees. And if you are a stomach sleeper, you might want to place a thin pillow under your stomach to improve the spinal alignment. Try curling up. Sometimes, sleeping in a fetal position with your knees up against your chest brings pain relief for people with lower back issues. Try reclining. Elevating your back on a stack of pillows and sleeping in a reclined position might help with pain relief too. Such spinal positioning reduces the pressure on your back. If this method works for you, you might want to invest in an adjustable bed frame and a suitable mattress. Pick a proper pillow. Each sleeping position requires a suitable pillow. Back and stomach sleepers need something thinner, while side sleepers require thicker, taller pillows. The upper back is a part of the thoracic spine (the other part is the mid back). This makes the upper back more stable than the lower section. That’s why the number of people with upper back problems is fewer than with lower back pain. Still, upper back issues are quite common. More than 30% of chiropractic patients receive treatment for the upper back pain. And because upper back belongs to the thoracic spine section, the issues with it can also lead to problems with lungs and heart. Naturally, sleeping with upper back pain can be a real challenge. The numbing or prolonged pain makes it almost impossible to find a comfortable position, relax, and fall asleep. There are some simple things you can do to alleviate the symptoms and sleep better. Watch your posture. Avoid hunching and slouching when sitting. If your office chair is uncomfortable or doesn’t provide proper support for you back, consider investing in a new one. Also, try elevating your computer monitor. Place it on the same level as your eyes. This way, you won’t have to hunch down when looking at it. Try cold or warm compresses. This method is especially effective when you have a back injury. But even when that’s not the case, a cold or a warm compress can help with muscle relaxation in the upper back and might even reduce the pain levels. The best sleeping position for upper back pain is flat on your back. So, try lying on your back and use a thin pillow for the head. This position can help you improve your posture and contributes to the proper spinal alignment. If you are a side sleeper, keep your legs straight or bend them slightly. However, avoid drawing one of the legs towards your chest. This will cause pelvis rotation and the unwanted spinal curves. Avoid sleeping on your stomach. This position will put way too much pressure on your upper back. Plus, it will create an extra curve in the neck, which can only increase the pain levels in the back. Being quite common among professional athletes, shoulder pain can also be an issue for many other people. And often, it’s a symptom of a more serious issue. For instance, shoulder pain can be a sign of trauma, arthritis, inflammation, fracture, biceps tear, dislocation, shoulder instability, rotator cuff tear, age-related conditions, and so on. 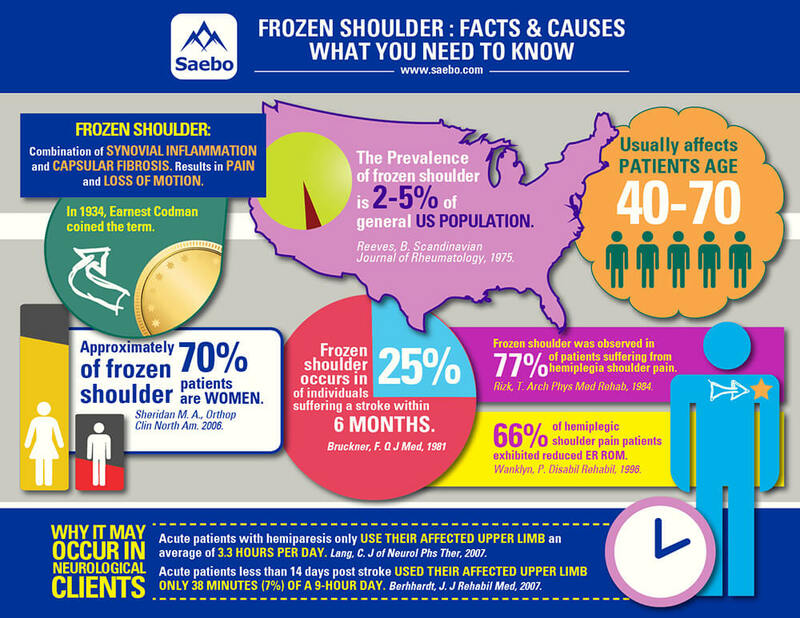 From 2 to 5% of the general population experience pain because of the condition called frozen shoulder. 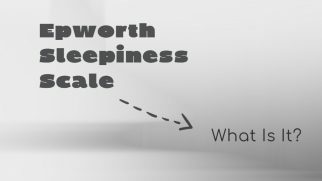 Get a mattress that can guarantee a good pressure relief. Shoulders have many pressure points, which experience tension when you lie down. And tension means more pain when you are already hurting. So, it’s better to sleep on a mattress that can hug your shoulders, for instance, memory foam or a latex model. The best sleeping position for shoulder pain is actually on your side. But only if just one of your shoulders is hurting and you sleep on the other one. You can hug a thick pillow with your hurting shoulder, which can help with pressure relief. Use a body pillow to prevent rolling onto your sore shoulder. Plus, a comfy body pillow can help you feel more relaxed and even comforted. This can contribute greatly to your sleep quality. After all, whole-body and mind relaxation are crucial for sleep. Gently stretch your shoulders before sleep. This can help them relax and might even reduce pain. Neck pain is one of the most frequent health issues in the US. From 10 to 20% of citizens report neck pen every year. Many of them suffer from chronic pain, which makes the neck feel very stiff and, naturally, ruins the sleep. Plus, chronic pain can lead to frequent headaches and even migraines. And we all know how hard it is to get restful sleep when your head feels like it’s going to explode. Now, it can be quite hard to define what exactly causes neck pain in each individual case. Sometimes, such an issue may appear simply because you have slept on your neck wrong. But there are other potential causes such as muscle strains, spasms, infection, poor posture, arthritis, repetitive motions, osteoporosis, and so on. Get a proper pillow. There are many suitable options, some even designed specifically for neck pain. You need something pressure relieving and supportive that can keep your neck and spine properly aligned. Gently stretch your neck before sleep. This will provide relaxation and may reduce muscle tension, lowering the pain levels as well. Simple slow stretches like turning your head from side to side would be enough. Avoid sleeping on your stomach. In such a position, the neck is twisted, which results in more tension and pain. The best sleeping position for neck pain is on one’s back. Use a thinner pillow that nicely conforms to the shape of your neck. Get enough cushioning when sleeping on your side. Your pillow has to fill the space between your shoulder and head, thus cradling and supporting the neck. Use a compress before bed. Again, this can help with both tension and pain. Gently massage the hurting areas with the tips of your fingers. This little trick improves blood flow, helps muscles relax, and reduces pressure. Sciatica is quite a serious condition for a number of reasons. Firstly, because there’s not enough exact data concerning its prevalence and statistics. Secondly, in severe cases, sciatica can lead to serious disabilities. This condition usually reveals itself in a form of radiating leg pain. Sometimes it makes people experience an unpleasant tingling sensation in the foot or a burning feeling in the calf. It affects 5-10% of patients with lower back pain on average. Other risk factors include advanced age, smoking, and severe stress levels. In around 90% of cases, the primary cause of sciatica is a herniated disk in the spine. The compression of the nerve root and lumbar stenosis can also be a possible cause. Therefore, it might not be correct to call sciatica a condition or an illness. It’s really just a symptom that indicates that there are certain problems with the spine or the nerve roots. The best sleeping position for sciatica is on one’s back. You should also try elevating your knees using a pillow or a rolled towel/blanket. This will reduce tension on the lower back and might alleviate pain, especially if you have nerve root compression. Try sleeping on a firmer surface. You can get a new mattress if yours is too soft or place a firm topper on your bed. Some people note that sleeping on the floor helps reduce sciatica pain, but this method has quite a few drawbacks and is not recommended by doctors. Relax before bed. You can take a warm bath or shower (not hot though), do some light stretching, etc. Apply a warm compress (or use a special adhesive back heat wrap) to your lower back, hip, or buttock, wherever you feel stiffness or pain. This can help with both relaxation and rain relief. Prevent yourself from rolling onto your hurting side. You can use a body pillow for that. As an alternative, you can roll a couple of blankets or grab a few pillows and stack them on your both sides when lying on the back. This will serve as a barrier that should stop you from rolling onto your aching side. Interestingly enough, when patients complain about hip pain, the source of the problem originates in lower back or buttock area in most cases. When there are hip problems, patients are more likely to feel pain in the thigh region, sometimes groin, or even the knees. If you wake up because of the hip pain at night, try changing the position. Experiment until you find the most comfortable one. If you are a side sleeper, place a pillow between your knees. This will reduce stress from the hips. Plus, it’s beneficial for proper spinal alignment. Try a cold compress. Placing something cold on your joints can reduce inflammation and pain. The best sleeping position for hip pain is lying flat on one’s back. You can use wedge pillows under your thighs or hips to reduce pressure. You might also want to try elevating your knees or placing a small rolled towel under your lower back. All these little tricks work to reduce tension from the hips. And reduced tension means less pain. Get massages in the evenings. Massage is proven to be effective for hip pain. Doing it in the evenings will help you relax, will reduce the pain levels, and, consequently, will help you sleep better. Our knees have a rather complex system. A knee joint has such articulating bones as shin, thigh bone, and knee cap. Plus, there are ligaments and muscles, of course. The joint is surrounded by small compartments filled with fluid that help with lubrication. Those compartments are called bursae. It’s worth knowing that the probability of knee pain increases with age. Around 19% of the population has experience with (or currently experiencing) knee pain. 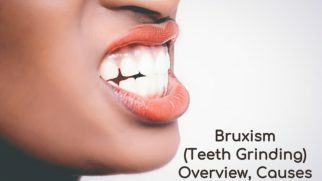 The prevalence of this condition is higher in women by approximately 5%. Wear a compression bandage. While it might reduce blood flow during the night, wearing a tight bandage in the evening or during the day can relieve pain, reduce swelling, and help you sleep better. Use a cold pack to reduce swelling. You can also apply a warm compress. It’s best to try both options and see which one works the best for you. The best sleeping position for knee pain is on one’s back. This way, the knees are not pressed into the mattress, which means minimal stress on them. You might also place a pillow under the knees to alleviate pressure. Take a warm bath before bed. This can soothe the pain and relax the muscles in the knee. If knee pain makes it hard to shift during the night or get out of bed in the morning, try sleeping on satin sheets. They are slippery and create less friction. So, it’s much easier to move on them. Arthritis is a general term for a whole set of different conditions, each of which affects specific joints (the synovial tissues, to be more exact). It’s one of the most widespread conditions in the US. 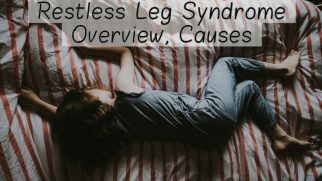 It causes disabilities and interferes with people’s everyday lives. Arthritis is more common in women than man. People over 45 are more prone to this condition. More than 50 million adults are doctor-diagnosed with this condition every year. And researchers predict that the numbers will only keep growing. occupations that involve repetitive joint bending. Pick a proper mattress. Sleeping on a bed that is suitable for arthritis is probably the most effective way to alleviate pain and relax. Use heat therapy before bed. Using a heating pad or taking a warm shower can soothe your hurting joints. Use pillows to reduce pressure. The position of the pillows will be determined by your arthritis type. If your knees or hips hurt, try placing a pillow between the knees. Wedge pillows next to your thighs or hips help too. For neck arthritis, use a firmer pillow (preferably an orthopedic one). Stretch gently before bed. Again, this helps with pressure relief and can alleviate pain. Switch and shift. It’s hard to determine the best sleeping position for arthritis since this condition can affect multiple body areas at a time. So, don’t be afraid to experiment with different positions, stacked pillows, and props. Try something new every night until you find a perfect spot for your comfortable sleep.